One of Nigeria’s leading logistics companies, Red Star Express has welcomed a new chairman to head its Board of Directors. This became necessary as the incumbent chairman, Dr Mohammed Koguna retired from the Red Star services after serving in the same capacity for 26 years. The handover took place October 25th, 2018 at the company’s head office. The new Chairman of the Board, Alhaji Suleiman Baru (OON, FCIB, FNIM) before his appointment, has been a Non-Executive Director of the company since June 2018. He was a distinguished Public Servant and a Merchant, Commercial and Central Banker. His over 18 years sojourn as a Public Servant was initially as a Principal Economist with the Nigerian Mining Corporation and subsequently with the Central Bank of Nigeria, as a Special Adviser to the Governor during which time he briefly acted as Managing Director of the Nigerian Security Printing and Minting Plc. Before working at the CBN, he had over 17 years banking experience cutting across four banks namely Continental (formerly Chase) Merchant Bank, Bank of the North, UBA and FSB International Bank. 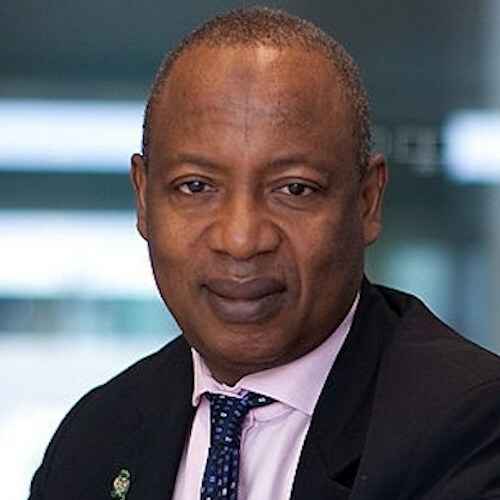 He was Deputy Governor of Corporate Services at The Central Bank of Nigeria from December 13, 2007 to 2018 and served as its Director until 2018. “Red Star Express Group is a premium logistics solution provider in Nigeria with unrivalled local network coverage and a large market share in the domestic and international market. It enjoys a domestic strength of over 240 offices in Nigeria, delivers to additional 1,800 communities, with over 2,400 highly trained personnel and over 600 delivery vehicles in its fleet. The company which is a licensee of FedEx, the world’s largest express transportation company with over 650 aircrafts and more than 250 delivery destinations globally. FedEx has consistently been rated among the top 10 most admired companies in the world over the past 10 years. Red Star Express has four subsidiaries– Red Star Freight, Red Star Logistics and Red Star Support Services”. Similarly, Alhaji Suleiman Baru (OON, FCIB, FNIM) reiterated his commitment to take the company forward. He commended the outgoing chairman, Dr Koguna, describing him as an elder statesman whose unique ways of doing things has impacted in the fortunes of companies he chaired, including Red Star Express. Red Star Express Plc provides a portfolio of full logistic solutions which includes, but not limited to International and Domestic express delivery, Freight Forwarding, Integrated Logistics Solutions, Information and Document Management Solutions, Warehousing and E-commerce Solutions. Red Star became a licensee of FedEx (Federal Express) and became an Associate of TNT following the acquisition of TNT by FedEx in 2016. The Red Star international partner FedEx is among the world's most admired brands.